Presentation: corrugated plastic box with thermal insulation. Bumblebees are attracted to certain colors and smells, such as blue clothing, perfumes, shaving lotions, cosmetics, etc. They are not aggressive but can sting with their sting to defend themselves. This usually produces a local swelling. It is not procupante. Azaron (available in pharmacies), relieves pain and swelling. However, some people may have a hypersensitivity reaction: pain and swelling in other areas of the body, or sometimes throughout the body. Other possible symptoms are: red skin, blisters, breathing problems, nausea, sneezing, irritation of the nostrils, throat or eyes. In these cases consult your doctor immediately. For an optimal formation of the fruit of the strawberry, cherry, currant, apricot, pear, apple, kiwi, etc. TRIPOL is developed especially for outdoor crops, but also for previous crops under plastic or mesh. A colony of bumblebees contains several hundred workers, much less than a bee colony. 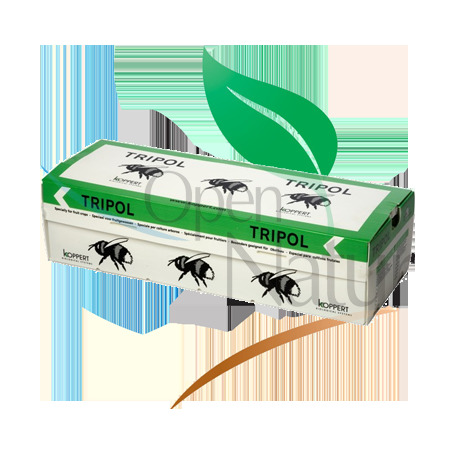 In the table printed on the cover of each TRIPOL information is included to help know the pollination capacity of the hive. For example: if 18 bumble bees return in 10 minutes, it means that all the workers in a TRIPOL visit 260,000 flowers per day. As of 2011, the pollen storage system (Expol) is no longer necessary. The Tripol colonies can be introduced up to five days before flowering without causing damage to the colonies or their pollination capacity. Each hive has a small container that contains food to keep the bumblebees fed during transport and storage. 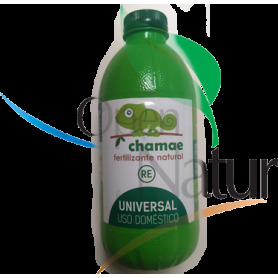 Distribute the TRIPOL hives in a homogeneous manner in the crop. The best position is horizontal (avoid tilting, since the sugar solution can spill). Open the exit holes at least half an hour after placing the hive in the crop, allowing the bumblebees to calm down after transport. Protect the TRIPOL hive from direct sunlight and rain by covering it with a PE panel and placing a stone on it to prevent it from being swept away by the wind. Press the white sliding door of each nest up until you see two holes (entrance and exit). DO NOT REMOVE the small black door under the lid. In the event that TRIPOL has to be moved to another location it is important to allow all bumblebees to return to the nest. To achieve this, press the sliding door down until one of the two holes is closed. Bumblebees can enter but not leave the hive. After a period of two hours, press the sliding door until all the holes are closed. Place the TRIPOL hive in the new position and allow it to calm down. Open the hive preferably the next day. The pesticide indoxacarb is very harmful to bumblebees and has a persistence of 3 days! before using incompatible pesticides, the hive should be closed and removed from the treated area. This should not last more than two days, since the colony will suffer from hunger and larvae will die due to lack of pollen. 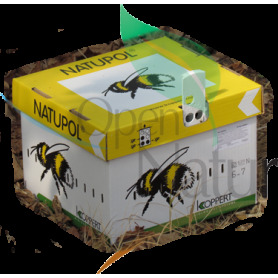 The sugar solution supplied with the hive is sufficient for the duration of the transport and the first couple of days in the field. In most crops, bumblebees leave no sign of their visit to the flower. In strawberry, bumblebees remove pollen from anthers.